Make a lasting impression at your next event with our custom printed Heavy Duty Paperboard plates. These heavy duty imprintable plates offer a unique look and feel for any event you have planned. 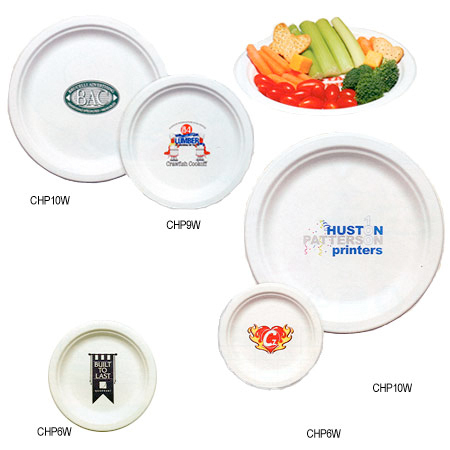 Choose from 3 different size plates and up to 9 imprint colors for any occasion you have planned. For additional information on our Custom Imprinted Heavy Duty Paperboard Plates or our other Bar, Nightclub, Restaurant, & Catering Supplies, including Custom Ice Buckets, please contact us at 1-800-233-0828.